A refreshing source of ideas to help your children learn to grow their own patch of earth, Gardening Lab for Kids encourages children to get outside and enjoy nature. This fun and creative book features 52 plant-related activities set into weekly lessons, beginning with learning to read maps to find your heat zone, moving through seeds, soil, composting, and then creating garden art and appreciating your natural surroundings. Author Renata Fossen Brown guides your family through fun opportunities learning about botany, ecology, the seasons, food, patience, insects, eating, and cooking. The labs can be used as singular projects or to build up to a year of hands-on outdoor experiences. The lessons in this book are open-ended to be explored over and over–with different results each time! 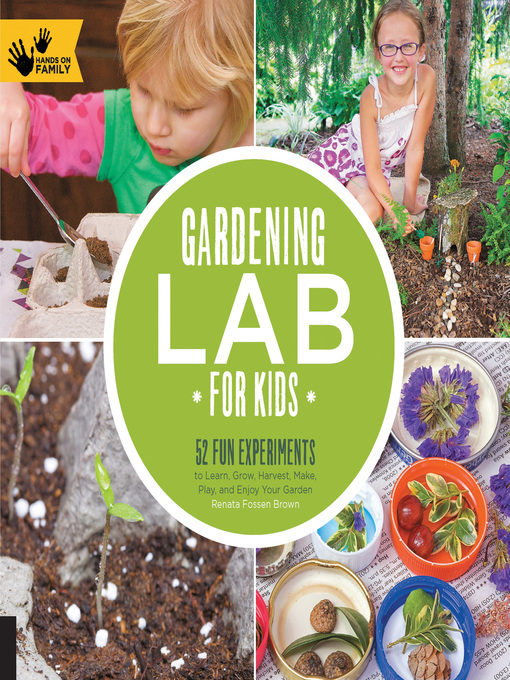 Garden Lab for Kids is the perfect book for creative families, friends, and community groups and works as lesson plans for both experienced and new gardeners. Children of all ages and experience levels can be guided by adults and will enjoy these engaging exercises.So, slip on your muddy clothes, and get out and grow!